Calisthenics is a form of workout where you use only your body weight to achieve strength and get in shape. Calisthenics exercises can be practiced without much machinery or elaborate gym structures. The basic idea is to get endurance, stamina, flexibility and strength without depending on any tools or sophisticated equipment. Unless you are a professional bodybuilder, you do not need fancy machines to build quality muscles and lose weight. You can get the lean and muscular Hollywood Look at home by doing a simple but highly effective Calisthenic Workout. A calisthenics workout is made to be simple and easy to do, but with the best benefits. These exercises are also aimed at not only the physical body’s condition but for the trainee’s mentality, psychological well being and cardiovascular health. Basic calisthenics have been used for centuries to build strong, lean, athletic bodies without equipment. Unfortunately, they are often overlooked today. Below is a collection of amazingly insightful and motivational videos that will inspire you to adopt calisthenics body-weight workout an important part of your workout program. 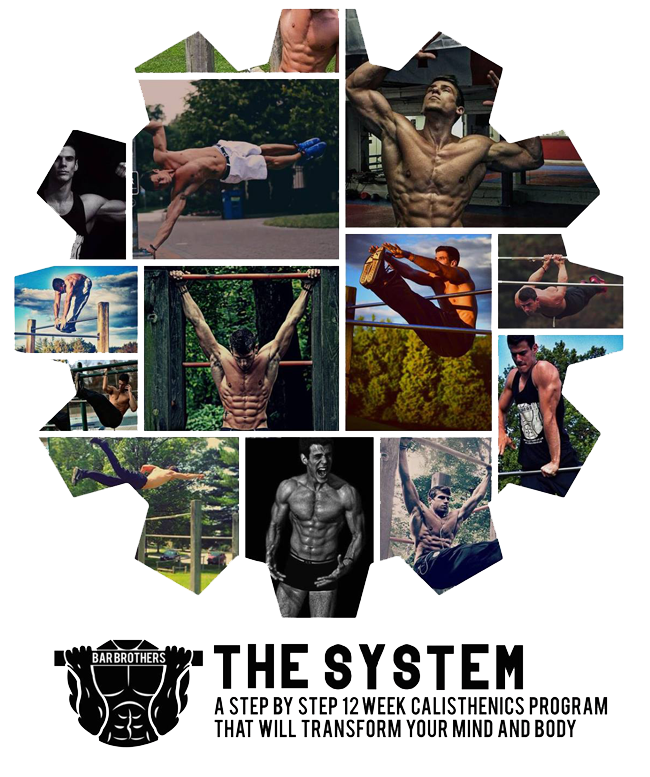 However, if you want a well detailed structured program on calisthenics, our top pick premium resource for calisthenics workouts is The Bar Brothers System . Calisthenics Explained - Are Body-weight Exercises Good For Building Muscle? 17 Year Old Epic Calisthenics Transformation! Motivation!